Happy Muslim Mama: How Lucky Are You? My word for this year was shukr or gratitude, but I think it would be a pretty good word for life. Every now and again something happens or we hear about something that puts our life in perspective. Until then we get caught up in our anxieties, the little pity-parties that go on in our head and our first world problems and forget what the reality for most of the world is. An experience in my life that really changed me happened during a visit to my grandparents in Pakistan when I was 18. I was in the first year of university and loved it. On my travels around my grandparents village I happened upon a young woman about my age and we got talking. She asked me what I did and on learning that I was a student, she asked how I could afford it. I told her that I didn’t have to pay any university fees and I received a small grant to cover my book and travel costs (this was 1997, just before the grants ended and the fees came in). She told me she really wanted to study but her parents couldn’t afford it so she had to stop. My heart sunk. I never forgot her. Free education and access to higher education is one thing we take massively for granted. That young woman has remained a teacher to me through out my life, a reminder and a lesson about how much we truly have and how little to complain about. Another experience that I have written about before was when I was pregnant with my third child and commuting every day into the city for my job. I was as nauseous as anything and feeling very sorry for myself, comparing myself to my sister-in-law in Pakistan who was expecting her first baby and resting with low-blood pressure. That morning I picked up a newspaper on the train and read an article about pregnant women in South Africa who had HIV or AIDS and were trying to access medication to prevent it from passing to their babies. One of the women went into labour and vomited her medication and could not get more in time. After the baby was born she had to wait to find out if her child was affected. This in a time where we have free health care, free medication for pregnant women and access to regular health checks. When Little Man was born I remember my grandmother congratulating me on the birth of my son and my life. It seemed strange at the time but we forget how pregnancy and labour are still life-threatening experiences in much of the world. My maternal grandmother died giving birth with the baby dying a few days later, leaving my mum to spend a lifetime haunted by the loss. All of these things, but certainly the article I read when I was pregnant, have made it very clear to me that I am amongst the most fortunate people in the world and I have no right to be ungrateful. 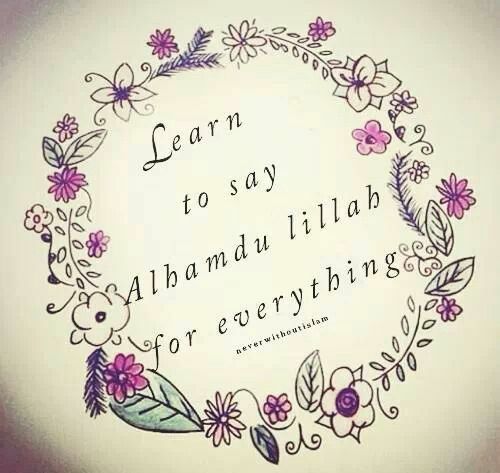 That Allah (SWT) has blessed me with every comfort and every help. What right do we have to be ungrateful? 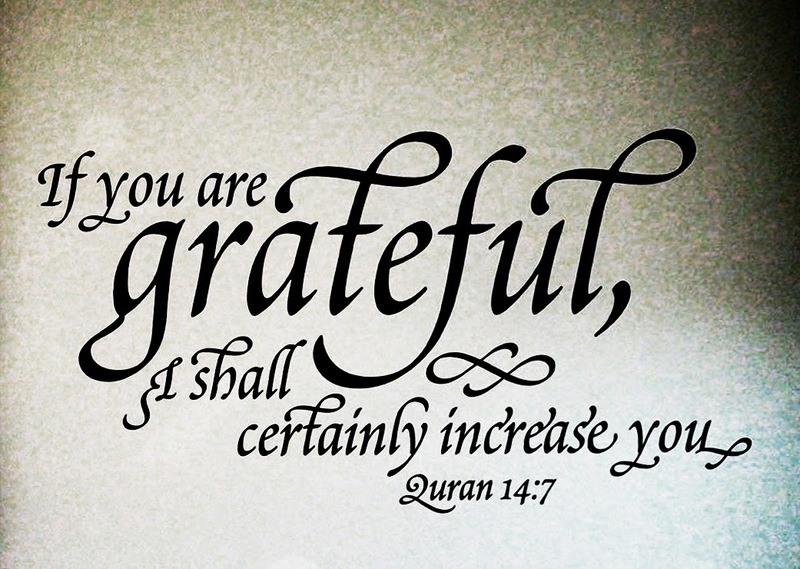 How can we ever be grateful enough? The fact that we have so much when others have so little, is there a reason behind this? A responsibility that comes with it? Just 2% of world have indoor toilets – this was the statistic that stopped me in my tracks, that was the really big reality check about the state of the world today for me. According to UNICEF, 22,000 children die each day due to poverty. And they “die quietly in some of the poorest villages on earth, far removed from the scrutiny and the conscience of the world (source). The number of children in the world is 2.2 billion, the number in poverty is 1 billion (every second child) and the number not in school is 121 million (source). Wars, conflict and persecution have forced more people than at any other time since records began to flee their homes and seek refuge and safety elsewhere (source). War, violence and persecution left one in every 122 humans on the planet a refugee, internally displaced or seeking asylum at the end of 2014 (source) - that's before the refugees leaving Syria throughout 2015 were even counted. As of 2015 (2011 statistics), the World Bank has estimated that there were just over 1 billion poor people in developing countries who live on $1.25 a day or less (source). The numbers make you think. They take you our of what you think and feel and put some perspective around what is real out there. Then it makes you think about where you stand in this picture. The luckiest 2%? The luckiest 1%, the luckiest one million in the world out of the over 6 billion souls on this planet? Each one as precious and important as us. Each one deserving of us much as us, but so many tested by poverty, lack of resources and opportunities and war. How can we stop our ungrateful thoughts and behaviours dead in their tracks? How can we show our gratitude? Why do we have so much when others have so little? What are we going to do with what we have been blessed with? It was narrated that ‘Aishah said: When the Messenger of Allah (blessings and peace of Allah be upon him) prayed, he would stand for so long that his feet became swollen. ‘Aishah said: O Messenger of Allah, are you doing this when Allah has forgiven your past and future sins? He said: “O ‘Aishah, should I not be a thankful slave?” ~ Narrated by al-Bukhari and Muslim.